If there's one negative aspect to shopping for flowers online, it's probably the tendency to sometimes feel overwhelmed by too much choice! You've probably had the experience where you've been presented with an encyclopaedic wine list or stood before an intimidatingly vast array of beer taps. On such occasions, you will probably have uttered the line "what would you recommend?" Our mystery bouquets are our way of recommending flowers for you, creating a unique bouquet just for you that will be a complete surprise. No two of our mystery bouquets are exactly alike; each is unique and never to be repeated, kind of like a floral snowflake! Our expert florists lovingly create these bouquets with slightly more flowers than normal, meaning our bountiful mystery bouquets are tremendously good value for money. Following on from the initial success of our immensely popular Mystery Summer Bouquet, we decided to add two new additions to this enigmatic range. 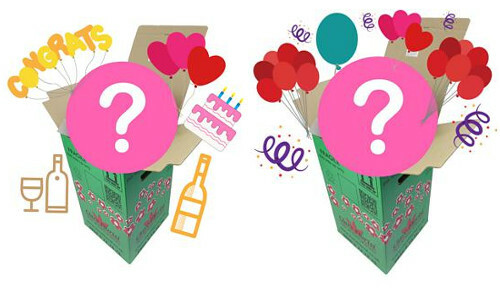 The Mystery Birthday Bouquet and the Mystery Anniversary Bouquet are concepts which have been specially created for the times you are shopping for birthday or anniversary gifts respectively, and you are utterly stuck for inspiration. Simply sit back and let us choose for you; our talented florists will draw on inspiration and years of professional experience to create something quite astounding just for you. Our Mystery Bouquets are currently all on sale at the bargain price of just £25, so please to take advantage of this special introductory offer whilst it lasts!